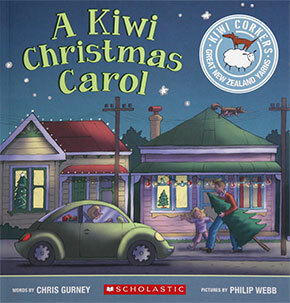 The Dickensian Christmas story is given a Kiwi twist. the dinners, the pressies and fuss! "But leave early then - if you must!" Miserly old Jerry from the Kai Corner Dairy is the New Zealand equivalent of Scrooge. 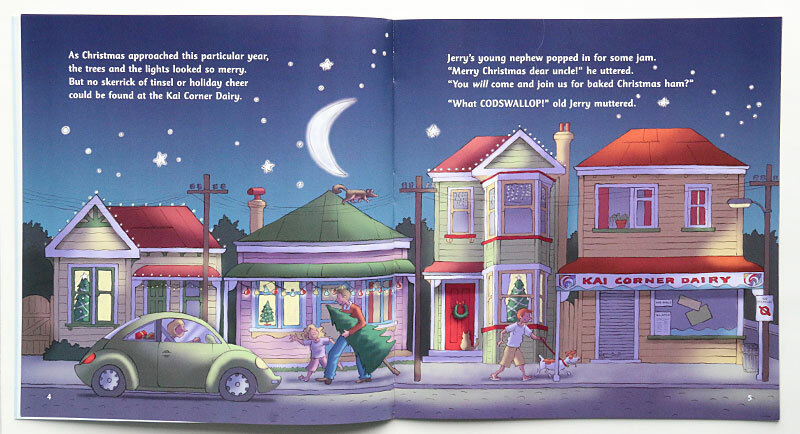 Children will love spotting the odd kiwi icon in Philip Webb's humorous illustrations. Philip Webb did the illustrations for this story. It is always exciting to see words take shape through the eyes and hands of the illustrators, and particularly so in this case. The old villas were typical of historic NZ suburbia, with the Kai Corner Dairy taken straight from my childhood memories, along with the old-fashioned cash register. 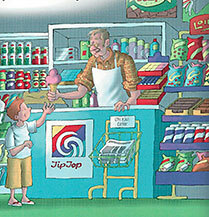 There are plenty of kiwi icons throughout the book, most of which need no labelling to be recognised but we have our favourite TipTop icecream, pineapple lumps and minties displayed, along with buzzy bees and toy kiwis. 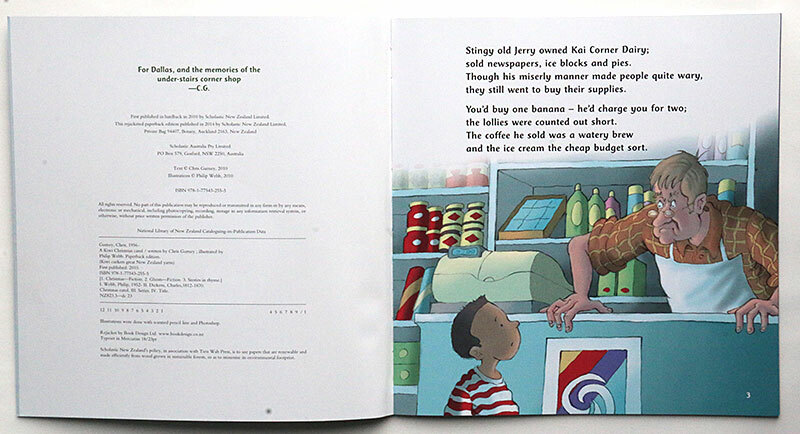 This is the magic that the illustrator weaves in his or her own way. This is one particular thing I’ve learned along the way, that, as a writer, I don’t need to write everything into the story. The illustrator can do that so much better. Kiwi Christmas Carol Word Search.